In Small Things Remembered » White House luncheon for Prime Minister Mohammed Maiwandwal. White House luncheon for Prime Minister Mohammed Maiwandwal. 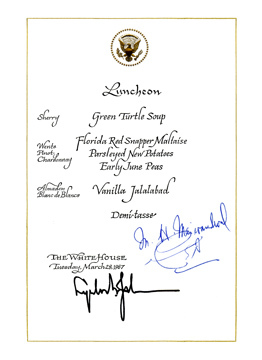 a. Autographed menu. 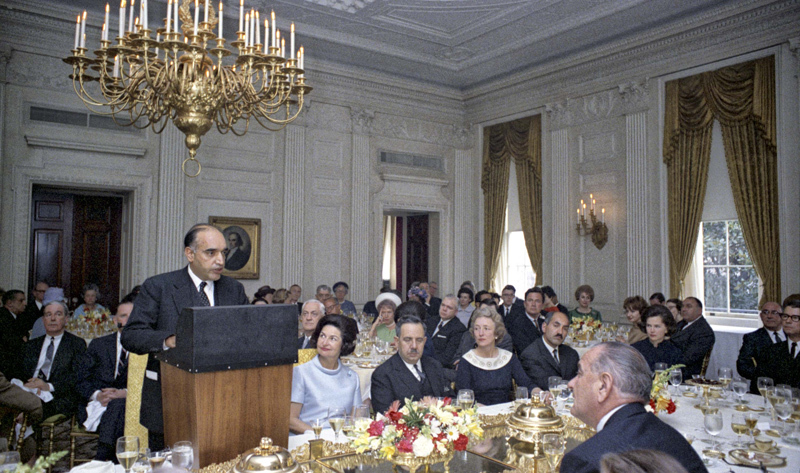 b. Maiwandwal speaks to President Lyndon B. Johnson and guests. 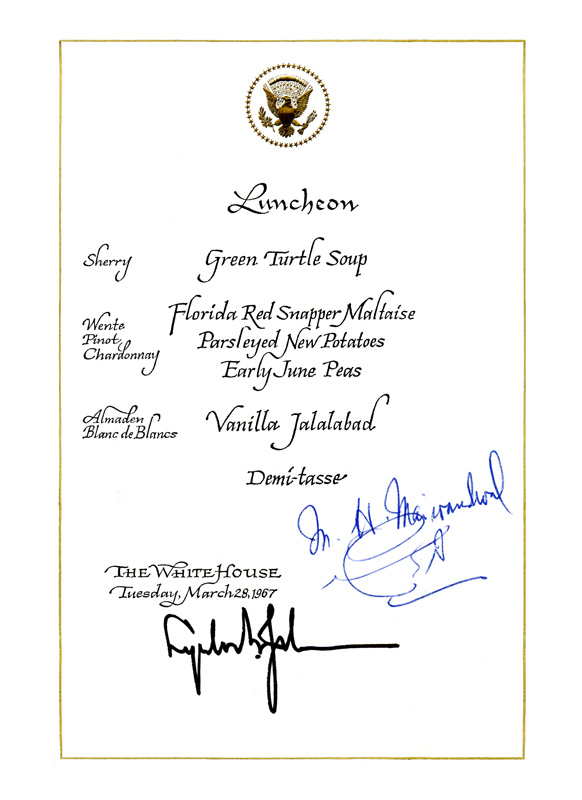 to his friendly remarks and to the creativity of the White House dessert chef. “3/28/67 Prime Minister Maiwandwal of Afghanistan,” Box 59 (menu); C4831-6 (photograph).